Farewell Summer. We had a great time catching up with Spielberg, Scorsese, Eastwood, Fincher, Payne and Hazanavicius. We had fun. Now it is time to officially welcome the the films of 2012 and yes, it is very exciting indeed. What are we looking forward to this autumn are the new films from Polanski, Cronenberg, Besson, Burton and Hill. I told you it was exciting. March 1 is the first day of autumn and there are over 10 films being released on this single day. 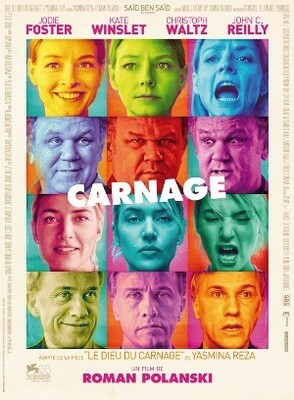 Our pick is Carnage, an acclaimed drama starring Jodie Foster, Kate Winslet, John C. Reilly and Christoph Waltz. 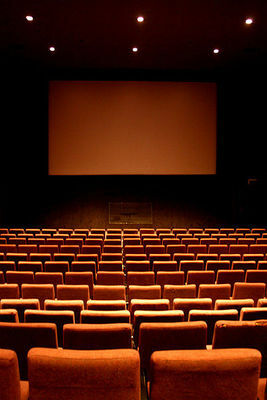 This was one of the most talked about films on the international film festival circuit in late 2011. There has been much discussion about the projectile vomit scene. Well, the tagline is 'a new comedy of no manners'. This film was initially tagged as a 'cancer comedy' starring Joseph Gordon-Levitt and Seth Rogen, which is a bit unfair. 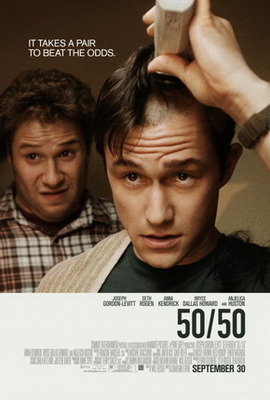 Directed by Jonathan Levine, 50/50 is certainly one of the better films exploring the impact of severe illnesses on young adults. While Love and Other Drugs unfortunately turned into Hollywood schmaltz, 50/50 carefully weaves together how a cancer diagnosis not only affects the individual, but how it affects friends and families and even doctors and psychologists. It is the small things in this film which make it special, such as the characters played by Anjelica Huston, Bryce Dallas Howard, Anna Kendrick and in particular, Philip Baker Hall and Matt Frewer. Gordon-Levitt is quite remarkable in the role of straight laced Adam, as is Rogen, as Kyle, Adam' best friend, whose actions could be described as selfish, but are in fact just his way of dealing with his friend's illness. This a small film with a lot of heart. 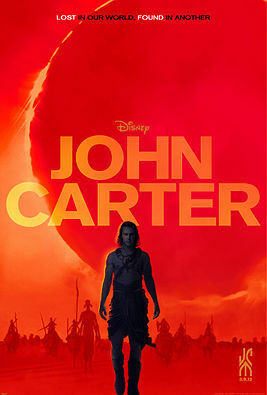 John Carter is the first major Hollywood film release of 2012. Directed by Andrew Stanton, this science fiction epic is based on the novel A Princess of Mars. The film stars Taylor Kitsch in the title role as well as Lynn Collins, Willem Dafoe, Thomas Haden Church, Samantha Morton, Mark Strong and Dominic West. Budgeted at $250 million, this film has been in development since the 1980s and it marks the first live action feature film from Stanton, who previously directed Finding Nemo and WALL-E. It's been a while since audiences have seen Depp on screen without the Captain Jack shtick and as a fan of Fear and Loathing in Las Vegas, it is nice to see this Hunter S. Thompson novel finally being brought to the screen. 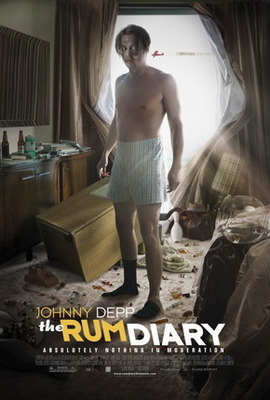 Directed by Bruce Robinson, The Rum Diary promises to be quite a trip. The film also stars Aaron Eckhart, Michael Rispoli,Amber Heard, Richard Jenkins and Giovanni Ribisi. Critics have responded to The Rum Diary negatively, just as they responded to Fear and Loathing in Las Vegas over a decade ago; so The Rum Diary could become another cult classic. This was the film that no one really thought would actually be made. 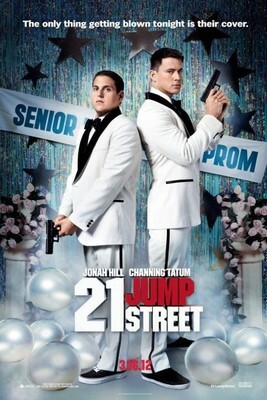 21 Jump Street was a cheesy teenage 80s cop/drama show which divided audiences into Team Depp vs. Team Grieco. This 'remake' is very loosely based on the television show and appears to be more of a straight comedy. It stars Academy Award nominated actor Jonah Hill and Channing Tatum, and Depp too will appear as Tom Hanson once again (Hanson was never properly 'written out' of the series, so it will be fun to see what happened to him). Could this be the surprise hit of 2012? It seems everyone is hanging out for this film. 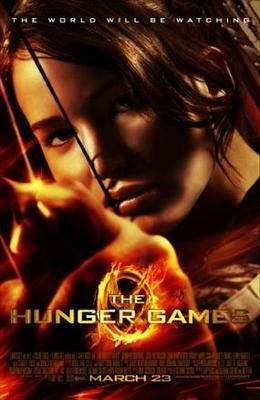 Directed by Gary Ross, The Hunger Games, based on the popular trilogy of young adult novels of the same name, stars Jennifer Lawrence, Josh Hutcherson, Liam Hemsworth, Elizabeth Banks and Woody Harrelson. This is expected to mirror the success of the Twilight saga, as three sequels have just been green-lit. 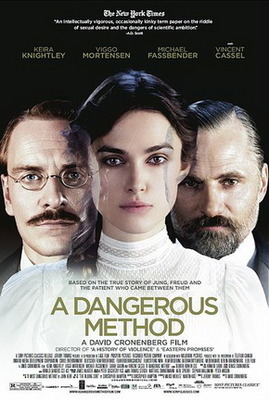 A Dangerous Method is the new film from director David Cronenberg, starring Viggo Mortensen, Michael Fassbender, Vincent Cassel and Keira Knightley. That is all I really need to say to get you excited about this one. A Dangerous Method marks the third collaboration between Cronenberg and Mortensen and it is based on The Talking Cure, by British playwright, screenwriter and director Christopher Hampton, who also wrote the screenplay for Cronenberg's film adaptation. This drama explores the professional and personal relationships between Swiss psychiatrist Carl Jung, his mentor Austrian neurologist Sigmund Freud and Russian patient Sabina Spielrein. The Aardman team are back with a swashbuckling family adventure. 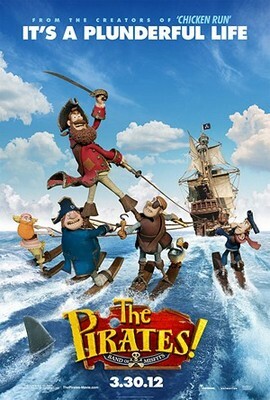 This is a 3-D stop motion film and is based on Gideon Defoe's The Pirates! series. The voice talent is quite remarkable; Hugh Grant, Salma Hayek, Jeremy Piven, Imelda Staunton, David Tennant, Martin Freeman and Lenny Henry. This is a great school holiday release. 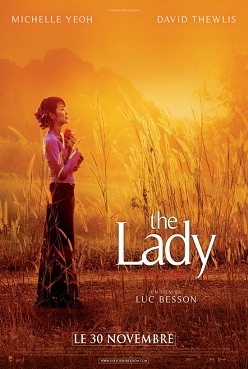 Luc Besson returns to directorial duties with the heartfelt biopic, The Lady. Michelle Yeoh is remarkable as Aung San Suu Kyi and while the film received a lukewarm reception with critics, it is still an impressive feature. The Lady is very much a love story, as it is a depiction of one woman's fight for Burma's freedom. Check out my full review of this feature film here. This Canadian drama was well received on the international film festival circuit in late 2011. We thankfully receive it at the same time as other English speaking territories. Directed by Jean-Marc Vallée, best known for the wonderful coming of age drama C.R.A.Z.Y., Café de Flore is a drama about love, in all it's forms. The film stars Kevin Parent, Hélène Florent, Evelyne Brochu and Vanessa Paradis. This film has received multiple award nominations at the Atlantic Film Festival, where it was the recipient of Best Film and at the Vancouver Film Critics Circle, where it received Best Canadian Film. Walter Hill and Sylvester Stallone team up for this long awaited cop action/drama. The cast also includes Christian Slater and Jason Momoa. Let's cross our fingers for some old school action film fun. 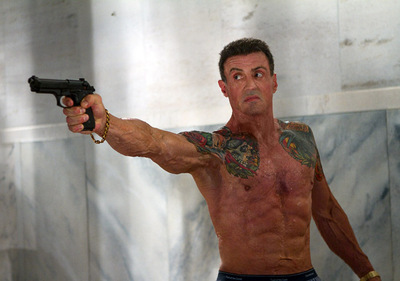 Given The Expendables 2 will have a PG rating in the US - it seems Stallone fans will get their unadulterated action fix with Bullet to the Head this year. Another month, another Depp film? But this one is a little different. Photo by Leah Gallo - Copyright Warner Bros. 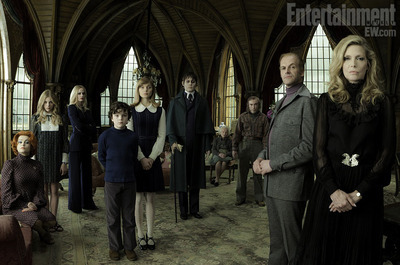 Directed by Tim Burton, Dark Shadows is based on the cult television series of the same name. The real appeal of this film is the remarkable cast; Eva Green, Michelle Pfeiffer, Jonny Lee Miller, Chloë Grace Moretz, Christopher Lee, Helena Bonham Carter and Alice Cooper. Let's hope Burton's vampires aren't vegetarians.